*This post is brought to you in partnership with North Pole Kids Club. Prizing and samples were provided. Opinions are my own. Colleen Nutter, COE (Chief Operating Elf) of the North Pole Kids’ Club has direct orders from Santa Claus to certify as many Junior Elves as possible. For kids that want to stay off the naughty list, enlisting in the North Pole Kids’ Club secures a spot on Santa’s nice list. Kids can become Junior Elves by being polite, helpful and merry. It all starts with the Official Elf Kit™ available now at specialty shops or online atwww.NorthPoleKidsClub.com. Christmastime is my favorite time of year. I have always loved establishing and anticipating holiday traditions with my children, and love spending our December days doing fun holiday activities together. We read books, do crafts, make special recipes, and enjoy time together. The North Pole Kids Club combines family tradition with Christmas activities in a fun and creative way. The North Pole Kids Club would be great for parents looking to establish a holiday tradition without a lot of prep, planning, or Pinterest-searching. All of the creative ideas are already thought out for you! This is easy to implement and full of fun for the whole family. 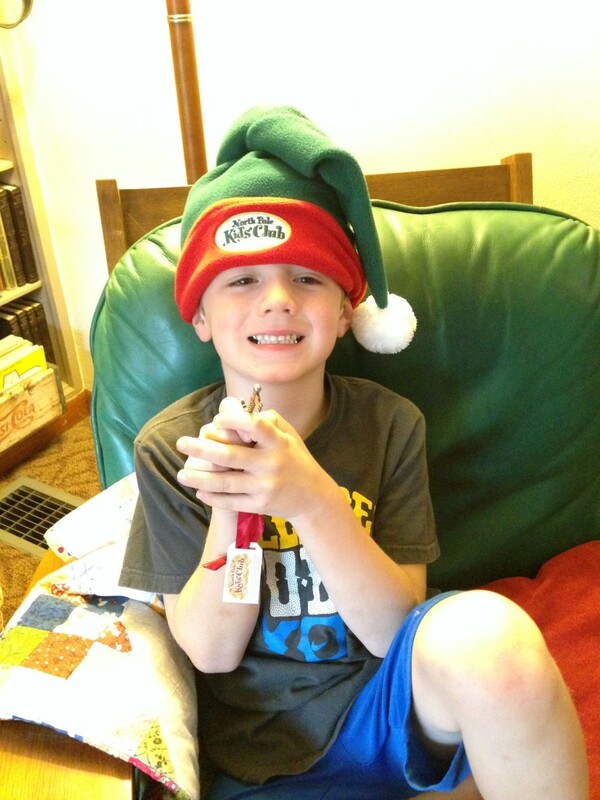 My own kids were THRILLED to receive their Official Elf Kits!! They especially loved the hats as well as Santa’s Magic Key, and couldn’t wait to start doing the suggested activities to earn their Junior Elf status. You can select the Official Elf Kit that is right for your family. 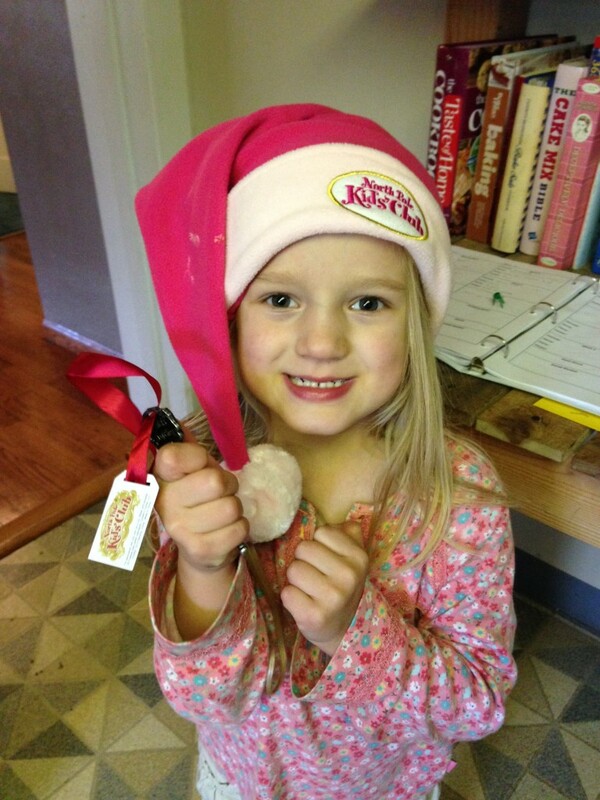 Choose between a Single Pack or Double Pack, and select the color of hat (pink or green) your child would like best. The Single Pack is $24.95 and the Double Pack is $34.95. Both packs include one key, the picture book, a handbook, activity book(s), letter from Santa, a hat(s), an Elf certificate(s), and a membership card(s). My readers can save 20% right now!! Enter code: BLOG20 at checkout. Visit https://www.northpolekidsclub.com/ andstart shopping!! This offer expires December 5, 2016. You can also support a local small business near you this holiday season! Here is a list of local stores that sell the Elf Kits! One of my readers is going to win a Single Pack Elf Kit!! You will be able to select a pink or green hat. Get those entries in and have a happy holiday season!! This would be so neat for my son. Putting up the Christmas tree and decorations while listening to Christmas music is one of my favorite things about the holidays. My favorite holiday tradition is baking! The kids always bake a batch of cookies on Christmas Eve for santa! And my mom and I always bake lots of cookies. Oh I have to say our favorite is our Elf on the Shelf. Jack arrives every year on December 1st, and puts a box of individually wrapped books in a box under the tree…with instructions he gets to open 1 book every night for storytime …and when they are gone…its Christmas. We have so much fun with it and love getting new stories to read! I watch garage sales and thrift stores for like new looking books all year long that we would enjoy….just so I have the 24 for December! My favorite holiday tradition is reading Twas the Night Before Christmas every Christmas Eve to my children. We have a couple but my favorite is getting together on Christmas Eve for dinner and a Christmas movie and everyone gets new pj’s to wear! !